We are passionate about what we do: making engagement ring shopping a a fully customized one on one experience. 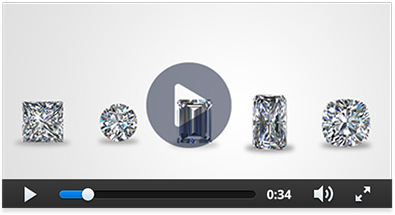 Meet our team of young diamond professionals with brilliant industry experience. With a degree in marketing and generations of family experience in the diamond and jewelry trade to build upon, Aric combines these facets to help continue growing the Lauren B name. Lauren is a third generation jeweler and the company namesake having worked as a highly skilled diamond and fine jewelry specialist since 2001. Lauren is passionate and dedicated to every aspect of her design projects and her expertise has assisted thousands of clients in creating the most exquisite rings. Diamond and engagement ring specialist and videographer: "Attention to every detail is crucial when working with diamonds. My goal is providing exceptional service for clients and helping them choose the best - diamond and ring style- in person and online." As a third generation jeweler, Sara is a natural when it comes to procuring the finest quality diamonds for clients and guiding them step by step in the custom engagement ring design process. Kathryn knew that working with fine gems was her passion and decided to pursue a career in the jewelry trade after graduating from Iona College with a BBA in Business Management in 2011. 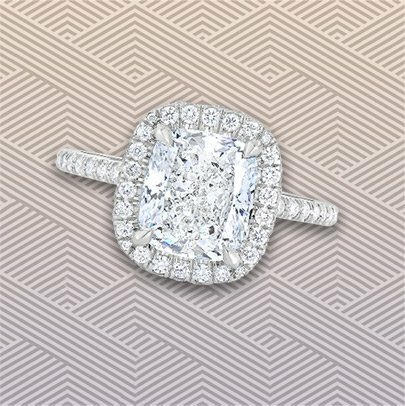 She is accredited by the GIA and loves overseeing every step of her client's dream ring, from center diamond selection to finished piece! A key member of our team, Fabrizio brings years of knowledge and hands-on experience from his previous position at a high end diamond and jewelry boutique in New York City. 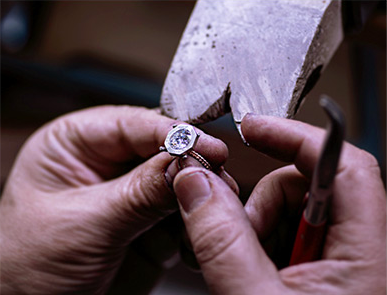 GIA-accredited diamond specialist Gabrielle loves assisting her clients in creating the perfect ring. She is dedicated to ensuring that her clients feel educated about our products as well as happy with their overall experience at Lauren B. Coming to New York City from Pittsburgh, PA- Courtney is a seasoned jewelry professional! She has worked exclusively with diamonds and fine jewelry for five years and is accredited through the GIA with her Graduate Diamonds Degree and her AJP degree. Courtney is very dedicated to making sure her customers are educated and have the best overall Lauren B experience! GIA accredited in diamonds and jewelry design Rosario was also a jewelry buyer within the luxury industry. Her passion for diamonds and fine jewelry design allows her to guide her clients through the buying process while sharing her diamond knowledge with them. Britt is a native New Yorker who has been working in diamonds for several years and specializes in helping her clients find the perfect stone. Daniela graduated with a BFA from Parsons School for Design. She is a recent graduate from GIA as an accredited Gemologist along with various other courses in the jewelry industry. Her education, passion for jewelry, and love for gemstones allows her to provide the best advice for making an educated purchase. Growing up with a family jewelry business, Polina became inspired by how products evoked an emotional connection with customers. Soon after her move to New York she began a career in luxury jewel crafting and diamond trade. Together with her clients here at Lauren B, she creates custom and unique designs bringing their dreams to reality. Hailing from the Midwest, Melanie has always been drawn to New York City's jewelry market. Armed with her GIA accreditation and plenty of enthusiasm, she loves helping her clients make educated diamond decisions. A native New Yorker who was drawn to the jewelry industry at the young age of 19. Throughout her career, Claire has held many positions in the industry from social media management and graphic designing to custom design consulting. Armed with degrees in design, public relations, and fashion marketing, Claire helps each client bring their dream ring to reality by creating beautiful designs that suit both personal aesthetic and lifestyle. Lauren B has a dedicated team of jewelry professionals who are focused on you. Our team sets us apart from any other jewelry store in New York City. 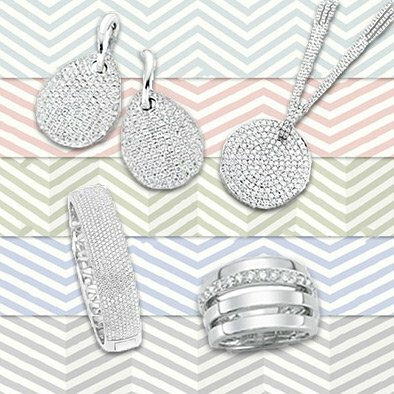 Come in and meet with one of our jewelry experts today to experience the real meaning of service.